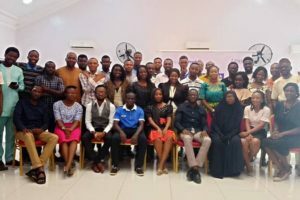 We recently held our 4th Policy Dialogue Series on Entrepreneurship with a focus on Financial Literacy for Nigerian Micro, Small and Medium Enterprise Entrepreneurs. Highlights of the session can be found here. 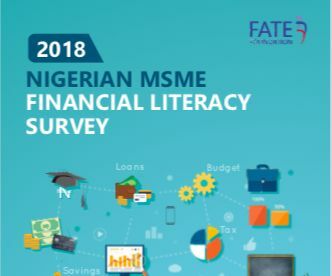 At the Policy Dialogue, our Executive Director, Adenike Adeyemi, shared insights from our 2018 MSME Financial Literacy Survey which reviewed the perspectives of 6,500 Nigerian MSMEs to Financial Literacy. The full report can be downloaded here. 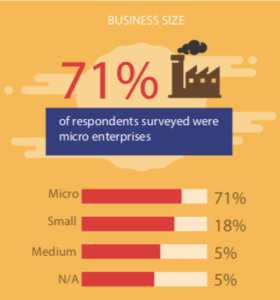 Of the 6,500 enterprises interviewed, 71% were micro-enterprises, half of them were not formally registered and 56% of had been in business for 4 years or less. 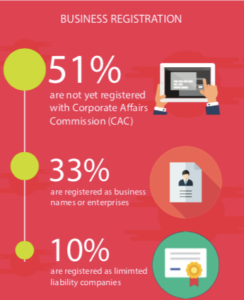 A significant number of Nigerian entrepreneurs have never taken a financial literacy course. 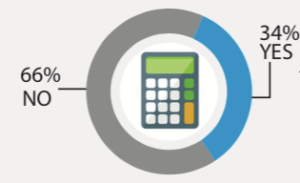 Financial literacy is not included in our educational curriculum as only 1% of those that had taken a financial literacy course so received it while in school. There were strong benefits to entrepreneurs from having attended financial literacy course. 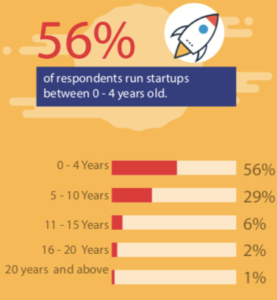 Most of the entrepreneurs interviewed handled their accounts themselves with most indicating cost as a factor for this. 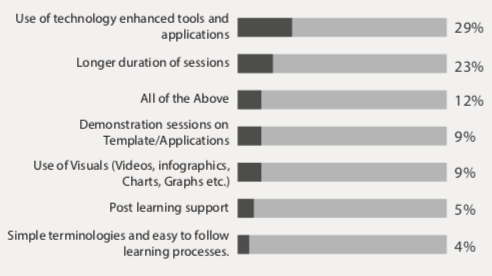 Most of those trained did not have financial literacy /management technological tools or applications used during their sessions. 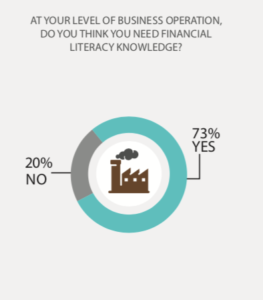 More than half of those who had taken financial literacy courses indicated that they are now sufficiently knowledgeable to handle the finance and accounting side of the business themselves. Suggestions made on improvements in the delivery of the financial literacy course include having longer sessions, use of technology enhanced tools and applications, practical demonstrations on with templates and use of visuals, such as videos, infographics, charts and graphs. 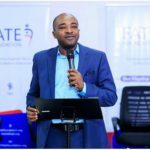 Many Nigerian MSME entrepreneurs lack the financial literacy skills to build and sustain their businesses. 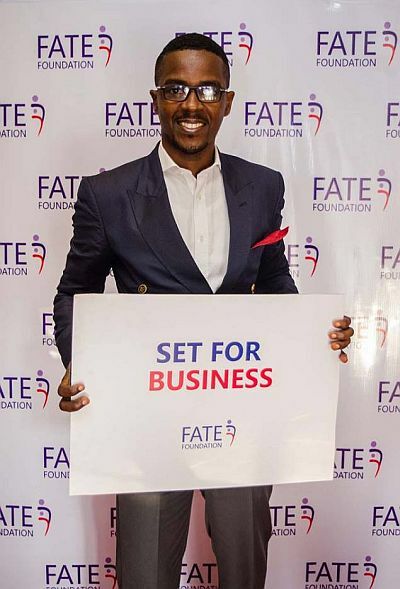 Wider provision of financial literacy skills would strengthen the MSME base, leading to stronger businesses, with leaders who are better able to plan and manage their firms, and more capable of raising finance for their future development. 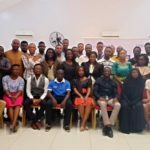 Those entrepreneurs who have attended financial literacy training have benefited from doing so and applied what they learnt by improving record keeping and financial planning. 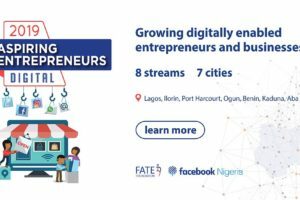 There remains scope not just for expanding the provision of financial literacy training, but also for improving the delivery of some of the training and evaluating its content to ensure its relevance to micro-entrepreneurs. 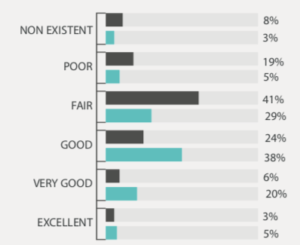 For the full survey findings report, visit here.